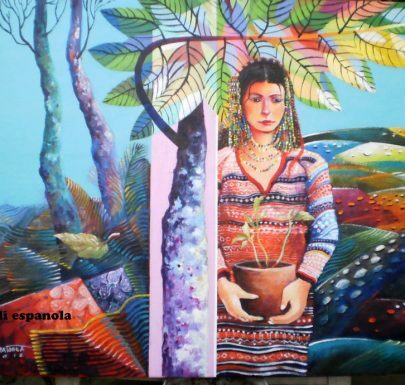 Noli Española is a Filipino visual artist, muralist and art teacher. He went to FEATI University School of Fine Arts. As a mixed media artist, he works wonders on landscapes, brooks, nudes, still life, portraits, abstracts, underwater, and pen and ink.